Lots of guys are using steroid cycles to get the perfect bodybuilding physique, right? But, what are these bulking cycles and cutting cycles? How do they work? How do bodybuilders use these different types of steroid cycles to get the results they are looking for? Well, keep reading and I am going to give you all the information you need! Steroids are illegal unless you have a valid prescription for them! By giving you this information we are not recommending you use steroids. But you still want to know more, right? So let’s get going with your quest for knowledge! What exactly is a steroid? Well, in simple terms, steroids are synthetic hormones. Most people have heard of anabolic steroids or anabolic-androgenic steroids, right? But what does this mean and what do they do? So what happens to the body when we use these? But don’t forget there is also another kind of steroid, corticosteroids. Corticosteroids are used to treat inflammatory conditions, such as asthma, allergies and arthritis. 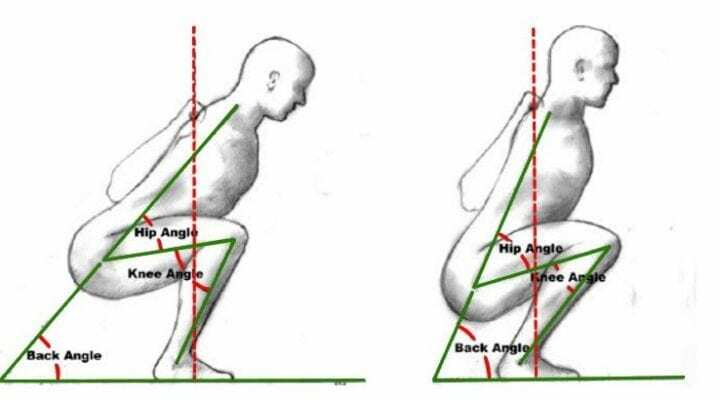 They aren’t commonly used amongst bodybuilders and athletes, except in the case of injury. So now you understand what steroids are, let’s look at some steroid cycles to learn more on how they are being used. Just starting out in the world of bodybuilding? Make sure you do your research about the best beginner steroid cycles before starting out, as most of the drugs can be very dangerous! Remember, if you’re going to be using steroids they can be tough on the body – so prepare for some nasty side effects. Don’t forget there are also legal alternatives that mimic steroids, without the nasty side effects! So what are the most commonly used steroid cycles for beginners? Most recommend starting with a mild steroid with a small amount of testosterone, such as Anavar, or even just a testosterone cycle to begin with. It is recommended that you begin with a steroid cycle of around 8-12 weeks. Most importantly, make sure you start out with mild steroids and consult your doctor or health provider, particularly if you have any medical conditions. Deca Durabolin – with this one you start on a low dose of around 100 mg and increase it each week by a further 100 mg. When you reach 300 mg, keep at this dosage for a few weeks. If you’re not seeing results after a few weeks, you can increase it to 400 mg, but don’t go any higher. So there you have some insight into a beginner steroid cycle. But do your research to make sure you get the right cycle for you and your body! Make a steroid cycle chart to help you plan your cycle. There are many out there to look at and help you plan, to make sure you’re going to get the best out of your cycle. Don’t try starting with the advanced steroid cycles, thinking it will get you there faster. That way, you will only be putting yourself at more risk! A bulking cycle is used for increasing muscle size; bulking steroid cycles are what bodybuilders use to pack on that muscle! But how exactly do they do this? What kinds of steroids do they use? So, for your diet you need to be eating more calories than you use. This means you need to work out your daily calorie expenditure and make sure you are not eating too much – or too little. Once you have the total number of calories you need to consume, then you need to divide these up into the number of meals you have per day. Remember, you must be eating more than 3 meals per day! Where should these calories come from? For your workouts you will be dropping the cardio and just doing the lifting. You need to be working out your whole body and should be hitting the gym at least 4 times a week. You will need to be adding supplements to your diet too. Not replacing your diet, but supplementing it. You should be adding things like protein shakes, multi vitamins and creatine. The most popular steroid stack used is testosterone, dianabol and deca durabolin. Bulking steroid cycles are usually around 12 weeks. High potency steroids are taken for the first 4-6 weeks and testosterone continued for the whole 12 weeks, with a dosage of about 500 mg/week. Always make sure to do your research and talk to your health provider before starting any steroid cycles. This way you’ll make sure you’re going with the right dosage so that you’re getting the best steroid cycle for lean mass. But remember that using anabolic steroid cycles is illegal, so what alternatives are on offer that are going to give us the results we’re looking for? There are legal steroid cycles for sale out there which will get you the results you’re looking for. So you do have other alternatives to anabolic steroid cycles. These supplements contain only natural ingredients which are safe to use. They mimic the effects of steroids without giving you all the nasty side effects. I sure know which I would be choosing! So whichever way you have achieved it, you’ve done your bulking cycle and now you want to know about the cutting cycle, right? The cutting stage is where bodybuilders want to drop weight and become as lean as possible. This is usually before competition time or before hitting the beach! This is where they need to be eating less and cutting back on those calories. The typical length of time spent on a cutting cycle is 12-16 weeks. Some also use steroid cycles to help with cutting, but what’s the best steroid cycle for cutting? A popular stack used in cutting is testosterone, trenbolone and winstrol or anavar. Again, always make sure you do your research and consult your health provider before starting any steroid cycle, to confirm that you’re using the best steroid cycles for you. Are there any legal alternatives for the cutting cycle? This is a Cutting Steroid stack from Crazybulk. It’s completely legal and made from all natural ingredients. So you get the results you’re looking for without the harsh side effects of the illegal steroids. 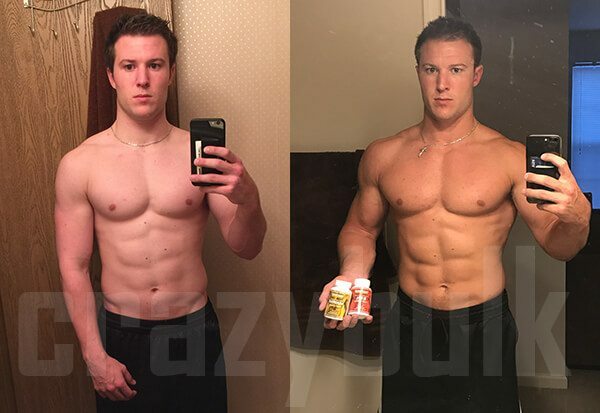 The ingredients in these Crazybulk products are designed to mimic the effects of real steroids so you can achieve the results you’re looking for without harming your body. Let me remind you – the use of steroids without a valid prescription is illegal and, as I mentioned in the beginning, I don’t recommend their use at all. But why are they illegal? This is mainly because of the harmful effects they have on the body. What are these harmful effects? Is it worth suffering a few side effects to achieve the body you want? Can cause nausea, vomiting and a feeling of being bloated. Also affects stomach lining which can cause blood to be evident in vomit. For teenagers and guys in their early 20s, growth may become impaired and height development may be prematurely terminated. These are just some of the more serious side effects caused by steroid cycles. So is it really worth putting all these risks on your health? Wouldn’t it be better to use the natural supplements that are going to take away all the harsh side effects of these illegal steroid cycles? In my opinion, the answer to that is a definite yes! Legal steroids stacks: Zero Side Effects. Awesome results. Luckily you are living in 2018. The supplement industry has evolved…. FAST. There are a handful of companies that have been able to formulate legal alternatives that mimic the results of steroids without side effects. Check out my guide to legal steroids here. Testosterone is probably the “safest” steroid you can use, because it’s natural to the body and is generally tolerated better. However, it’s still extremely dangerous. Which is why most bodybuilders are now using these legal steroids for fast results safely. They are not really designed to help you lose weight but they will help you lose body fat. The optimum period for steroid cycles is 12-16 weeks but beginners may start with an 8-12 week cycle. Check out a steroid cycle chart to make sure you get the best results from your cycle.